Forget the stress of everyday life - relax and recharge your batteries in the Vierordtbad or enjoy action and plenty of sliding fun at Europabad – at Karlsruhe's public baths you’ll find plenty to suit anybody's type and taste. There are lots of beautiful saunas in Karlsruhe for connoisseurs, fitness junkies can swim their rounds in the 50-metre pools, and adventurers will also come into their own. The outdoor swimming pool Wolfartsweiher - lovingly named "Wölfle" ("little wolf") - has a 300 qm solar-heated swimming part with an integrated non-swimming part. There are 5 clears with each 25m length. 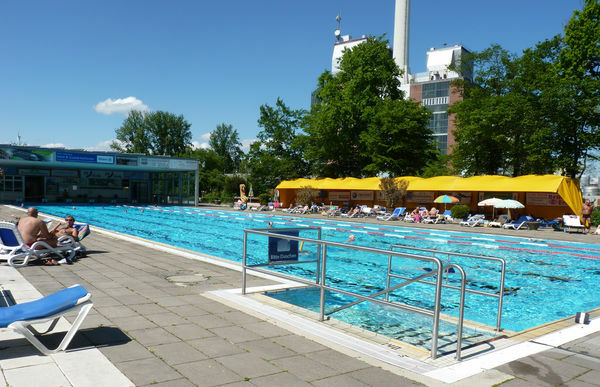 The Fächerbad complex is not just used for sporting events but also offers leisure facilities, making it a popular venue for both swimmers and non-swimmers. 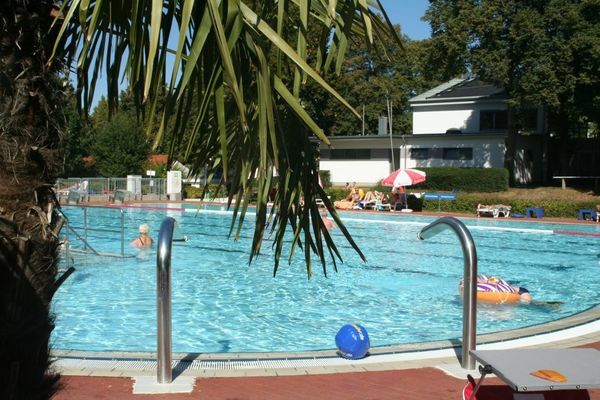 The Outdoor Swimming Pool Rüppurr is a relaxing oasis for fitness-oriented swimmers, as well as for young people, children and families. 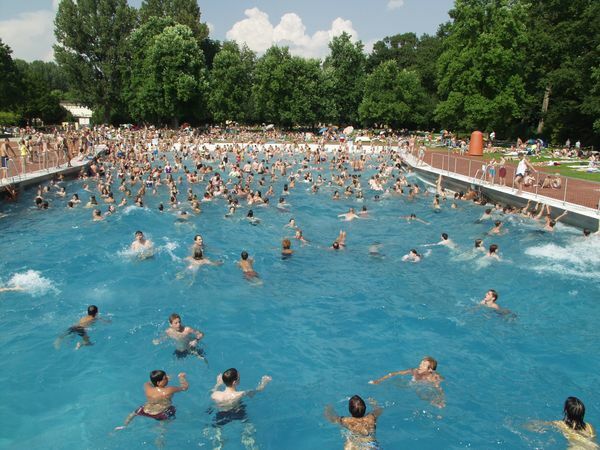 The Rheinstrandbad Rappenwört is one of the most scenic beautiful and biggest pools in Germany. In addition to a wave pool and a diving pool, an adventure pool with a lot of water attractions offers fun and relaxation for every visitor. 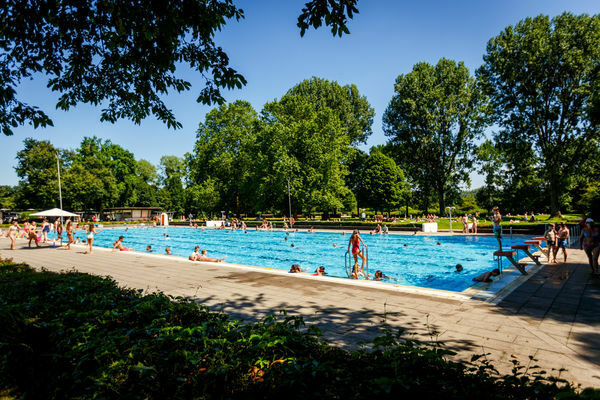 Going by the motto ‘he who swims outdoors stays fit’, the Sonnenbad (literally sunbaths in English) is the only outdoor pool in Germany that is open from March to November. In addition to a pool with a slide and a children’s paddling pool, it offers a swimming pool that is 50 metres long and 15 metres wide. All pools and the changing rooms are heated as necessary depending on the time of year; at colder times, they are heated to 28°C. 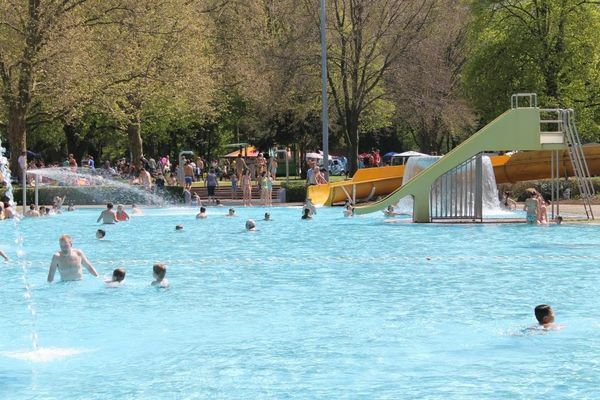 As the most modern water park in the region, the Europabad offers plenty of fun in the water, spa facilities and real holiday feeling for the whole family. Whether you want to wind down or make a big splash, there’s something for everyone! The Turmbergbad in the heart of Durlach is a real outdoor swimming pool paradise. A lot of water attractions, a huge lying surface to enjoy the sun and much space for sport activities wait for visitors. The Vierordtbad’s slogan is ‘Water, warmth, well-being!’ – a fitting description for this feel-good oasis right at the heart of Karlsruhe. These modern swimming baths are located in a historic bathhouse that first opened in 1900. Swim and bathe in the balmy waters of the main temperature-controlled pool, or relax in one of the smaller warm-water pools, which are heated to 36°C.